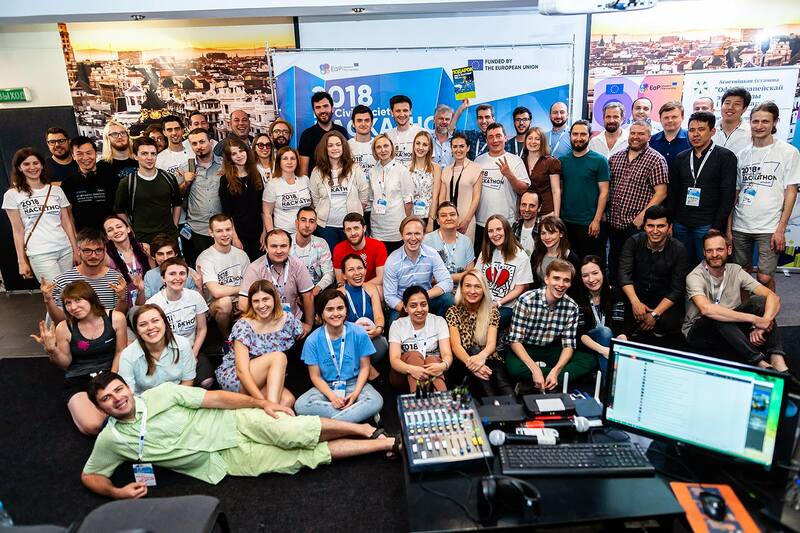 The Eastern Partnership Civil Society Facility promotes the role of civil society actors through innovation based on e-learning, the development of digital solutions to improve public sector accountability, and cooperation and networking among civil societies and governments through the region. It accompanies EU financial support to activities carried out by civil society organisations, and creates synergies between bilateral and regional initiatives for civil society. The overall objective of the project is to strengthen and promote civil society’s role in reforms and democratic changes that are taking place in the Eastern Partnership countries. MAPPING STUDIESfor a better understanding of civil society organisations in the partner countries and their problems. E-LEARNING COURSES AND WEBINARS for more technical knowledge of civil society activists and local impact, in particular their ability to monitor government actions and track budgetary spending. HACKATHONS TO DEVELOP NEW ICT TOOLS to empower digital participation of civil society in decision making processes, with at least four ICT transparency tools developed, helping citizens monitor governments actions and leading to the improvement of public services. BETTER COMMUNICATION FOR HIGH-IMPACT CIVIL SOCIETY WORK to improve the image of civil society work and learn how to communicate it better. CIVIL SOCIETY FELLOWSHIPfor future civil society leaders in key sectors, to enable them to drive change, with fellowships granted to 80 highly-skilled civil society experts in key sectors, allowing them to engage with different partners and contribute to reforms.